How might the SWRL work? 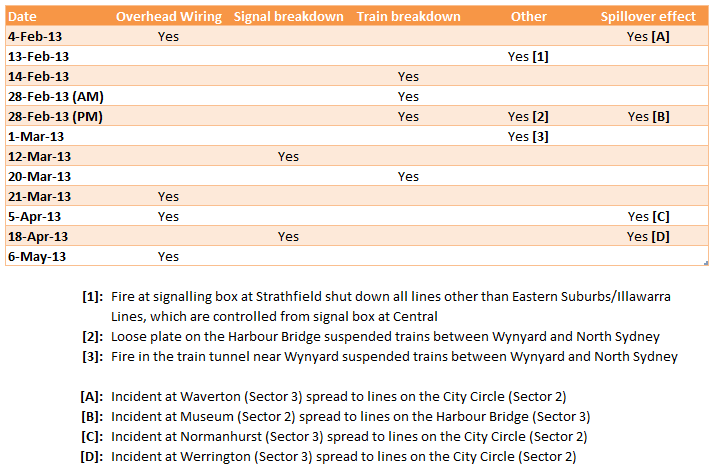 The opening of the South West Rail Link (SWRL) connecting Leppington to Glenfield will result in the biggest change to the Sydney Trains timetable since the just implemented 2013 timetable came into effect in October (all figures below are based on this newly introduced timetable). The major question over how it will be integrated into the network revolves around the need for rolling stock. The government has recently passed up the opportunity to increase its fleet of Waratah trains by an additional 8 to 12 above the currently planned 78 trains. These additional trains would allow the network to operate entirely with air conditioned trains, and without them it will instead have to operate some of the older S-Set trains (which are currently being phased out for lacking air conditioning). The government is retaining about 24 of the S-Set trains for this. The non-air conditioned trains may not necessarily operate on the SWRL, and which ever line they do end up on will probably only use them during peak hour when the need for trains is at its highest. The amount of rolling stock requires will depend on which line the SWRL will be connected to. One option involves running the SWRL via the East Hills and Airport Line. In the morning peak there are currently 2 East Hills Line trains per hour starting from East Hills, running limited stops to the CBD via the Airport, which could be doubled to 4 and then extended to Glenfield to link up to the SWRL. This has the advantage of being fast (42 minutes from Glenfield to Central), being relatively uncrowded (the East Hills and Airport Line could have approximately 109 passengers per 100 seats after the October 2013 timetable is implemented), and having spare capacity for adding 2 more trains per hour – which would reduce this overcrowding. However, this would require additional rolling stock, both through the doubling of existing peak hour services from East Hills from 2 to 4 trains per hour and their extension to Glenfield (where the SWRL begins). The alternative is for the SWRL to operate as an extension of the South Line. During the morning peak hour there are currently 4 South Line trains per hour starting from Glenfield, running limited stops to the CBD via Granville. This has the advantage of not needing to add additional services or extend them, as 4 trains per hour already start at Glenfield. However, this route would result in a much longer journey (61 minutes from Glenfield to Central), is relatively crowded (the South Line could have approximately 114 passengers per 100 seats after the October 2013 timetable is implemented), and has no spare capacity for running additional trains without altering the way in which South Line and Inner West Line trains operate. This is because South Line trains run express from Strathfield while Inner West Line trains run all stops, but the lack of overtaking tracks reduces the maximum hourly capacity from 20 trains per hour down to 12. Once the Bankstown Line is linked up to a Second Harbour Crossing and its trains removed from the City Circle, an additional 4 trains per hour can be added to the East Hills Line during the AM peak. However, the South Line will retain the same constraints previously mentioned. 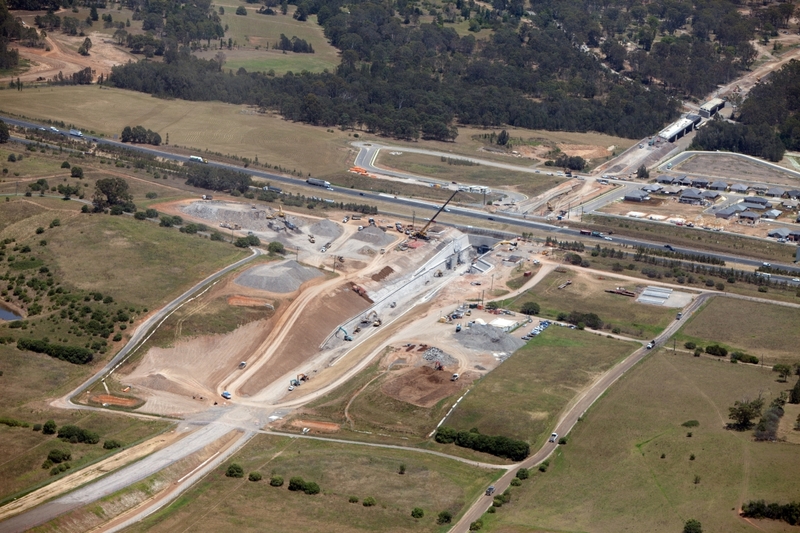 Additionally, should an airport ever be built at Badgerys Creek then an extension of the SWRL and East Hills Line could connect the new airport to Kingsford-Smith Airport with a continuous rail line. Despite this, in both cases it would be possible to run all SWRL trains via the South Line and still maintain a quick and easy cross platform transfer at Glenfield. By sending all South and Cumberland Line trains through the SWRL, it would also allow independent operation of the lines to Leppington and Macarthur from Glenfield. This would prevent delays on one section of the line from immediately flowing on to the other section. This “sectorisation”, as it is known, would be even more pronounced once single deck metro trains run on the Bankstown Line and it is truncated to Cabramatta. The South Line currently operates at half hour frequencies, and these 2 trains an hour can be re-routed to the SWRL. This removes two services per hour from Campbelltown, albeit trains so slow that passengers can reach the CBD faster by waiting for the next East Hills train and catching that instead. Two trains an hour on the East Hills Line (one each starting from/terminating at Kingsgrove and Campbelltown) could each be re-routed to the SWRL. This removes one service per hour from Campbelltown, bringing it back down to half hourly services all day. Though some clever timetabling of the Cumberland Line could allow passengers South of Glenfield a quick transfer at Glenfield for a fast SWRL train into the CBD, reducing the 30 minute wait between trains. The Cumberland Line is re-routed to the SWRL. This removed a direct link to Parramatta for anyone South of Glenfield and a direct link to the CBD for anyone on the SWRL. This makes it an unlikely choice, if passengers are required to make transfers then it should be for those with non-CBD destinations. The SWRL was recently announced to be running 12 months ahead of schedule and $100m under budget. However, the revised mid-2015 completion date is still 3 years behind the initial 2012 completion date, with the revised $2.0bn budget well above the $688m it was originally expected to cost (Source: Daily Telegraph). The 2013 October timetable re-write is the O’Farrell Government’s greatest opportunity to fix the trains, as Transport Minister Gladys Berejiklian often chants, during its first term. The Cityrail system is currently plagued by poor reliability and rising levels of overcrowding. The latter has been caused by insufficient capacity and has become so much of a problem, that it has led to longer dwell times at stations which in turn further reduces reliability and also the maximum number of trains that can pass through those stations during peak hour. This, ironically, further reduces total capacity, which makes the problem even worse. I’ve previously looked at how the rail system can be improved via simplifying the network. In this post I’m going to look into how to do it by increasing capacity. In particular, what has been confirmed for the 2013 timetable, and what is rumoured to be likely. Cityrail measures overcrowding twice a year in terms of passenger loads – the proportion of passengers to seats on each train (each 8 carriage train has about 900 seats). If each seat is taken, then it has a 100% load. If there are 35 standing passengers for every 100 seated passengers, then it has a 135% load. It is once you go above a load of 135% that dwell times begin to become problematic. Based average loads during the AM peak, the most overcrowded lines are the Bankstown Line (134%) and Northern Line (143%). Also high are the Airport & East Hills Line (127%), Illawarra Line (123%), Western Line (119%), and South Line (119%). These are just average loads, however, and it can be higher or lower for each individual train. So when looking at maximum loads, only 2 of the 9 suburban lines have all their trains below the 135% load – those being the Eastern Suburbs Line (which consists of only 3 stations before reaching the CBD) and the North Shore Line (which at 128% is only just below the 135% cut-off). The CBD subway portion of the rail network has 3 lines (Sectors) – the Eastern Suburbs Line (Sector 1), the City Circle (Sector 2), the Harbour Bridge (Sector 3). Each of these can handle 20 trains per hour in each direction. Sydney Terminal at Central Station also provides some capacity, and currently handles 12 trains per hour during the AM peak (4 Blue Mountains, 4 Central Coast, 3 South Coast, 1 Schofields). Each of these has some spare capacity (subject to rolling stock availability). The Harbour Bridge (Sector 1). 16 Western Line and 4 Northern Line trains enter the CBD from the South, meaning this approach is already at capacity (though the one Schofields train that terminates at Central could be extended to cross the Bridge). 18 trains from the North Shore Line enter the CBD from the North, meaning 2 additional trains can be added here. The City Circle (Sector 2). 15 trains pass through the City Circle in both the clockwise and anti-clockwise directions. The breakdown is 7 South Line, 5 Inner West Line, and 3 Bankstown trains enter the CBD via Town Hall, while 12 East Hills & Airport Line, and 3 Bankstown Line trains enter the CBD via Museum. Trains from Bankstown can enter from either direction, providing a large amount of flexibility in how the spare capacity of 10 trains per hour is assigned. The Eastern Suburbs Line (Sector 3). 15 Illawarra Line trains enter the CBD from the South and 15 Eastern Suburbs Line trains enter the CBD from the East. However, there are also 3 South Coast Line trains that terminate at Central which share the same track as the 15 other trains South of Central, and so there is only really an additional capacity of 2 trains per hour in each direction here. Sydney Terminal. If the 3 South Coast Line trains are extended to Bondi Junction while the Schofields train continues across the Harbour Bridge, as mentioned earlier, then this can create additional capacity at Sydney Terminal for 4 trains an hour. The Eastern Suburbs Line (including the South Coast Line) will see its capacity increased from 18 trains per hour to the maximum 20 trains per hour. Whether this is in both directions, or just from the Illawarra Line side is uncertain. The latter is likely given that trains from Bondi Junction are the least crowded in the network and probably don’t need additional services. Additional services will be added to the Bankstown Line, though no figure is mentioned. However, 2 more trains per hour, increasing the current 6 to 8, seems reasonable. This uses up 6 of the available 10 “slots” on the City Circle (discussed above in spare capacity), leaving 4 unused. 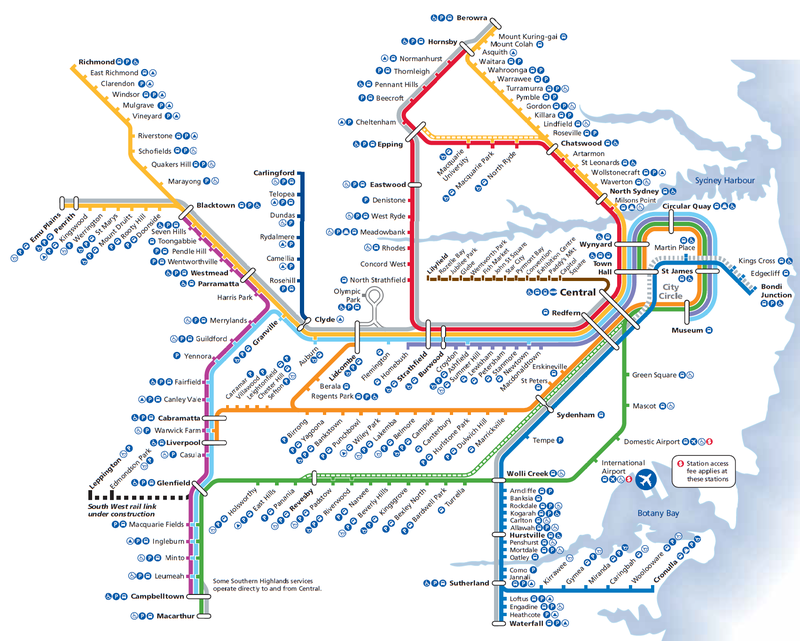 This leaves enough spare capacity for when the South West Rail Link comes online in 2016 and Sydney Trains has another major timetable re-write. This means that no additional capacity is available for the South Line or Inner West Line in the short to medium term. However, on overcrowding, the problem with these lines appears to be less their average loads (109% and 119%) which are on the low end for Cityrail as a whole, but more their maximum loads (153% and 164%) which are near the top of the list for all the lines. Here the solution seems to be to more evenly spread out services, rather than have long waits between successive trains – which causes overcrowding of some trains even if the average load is quite reasonable. This would certainly be an improvement, though is still less than ideal. A lot of rumours exist about the Western Line and Northern Line, but few things have been officially confirmed. It initially appeared that the government was considering removing direct services for the Richmond Line, sending its trains to Campbelltown via the Cumberland Line, and also for Northern Line trains from Epping via Strathfield, which would terminate at Central Station. However, a draft copy of the 2013 timetable, circulated to Railcorp employees recently, appears to show no stations on these lines will lose direct services to the CBD. Instead, some Western Line trains will continue through to Hornsby via Macquarie Park rather than along the North Shore Line as they do now. This may provide an increase in capacity to the upper Northern Line at the expense of the upper North Shore Line – though this could also be done by trains that terminate shortly after Chatswood, and so see little change in services for the Upper North Shore. What is more certain is the addition of 2 more trains per hour on the Northern Line starting at Rhodes, a station that has seen its patronage grow strongly in recent years due to surrounding developments. These trains would probably terminate at Central. The government has also spoken of increasing frequencies on the North Shore Line from 18 to 20 per hour. However, it has not said when it plans to do this, other than it will happen by the time the North West Rail Link (NWRL) opens in 2019. Given the relatively low average loads on the North Shore Line compared to other lines, this makes additional services in 2013 look unlikely. Finally, the Cumberland Line, which provides a direct link between Parramatta and Liverpool, will return to all day service. The draft timetable suggests it will be half hourly services from 7AM till 7PM. If the new timetable does look like this, then it will provide significant improvements to overcrowding on a number of lines. Assuming similar patronage numbers, overcrowding as measured by average loads could drop on the Illawarra Line (123% down to 109%), the Northern Line (143% down to 95%), and the East Hills & Airport Line (127% down to 95%). Sending Western Line trains to Epping via Chatswood could also further alleviate overcrowding on the Northern Line. Estimated overcrowding by line for October 2013. Where it does not directly deal with overcrowding is on the Inner West Line, South Line, and Western Line. This may be partly mitigated by some passengers opting to take trains on other lines that have seen increased services, or perhaps via a more even distribution of crowds on trains on the South and Inner West Lines due to shorter headways between trains (as discussed above in Changes in the 2013 Timetable). Some additional relief could be provided by running some trains into Sydney Terminal at Central Station, or by improvements in signalling allowing more trains to operate per hour. However, the former provides only limited improvements while the latter is both expensive and may take many years to roll out. The NWRL is currently scheduled to begin operation in either 2019 or 2020. Preliminary estimates show this will divert around 19 million passengers per year to it from other lines, presumably mostly from the Western Line. This translates to around 6,000 passengers per hour during the AM peak (using some quick back of the envelope calculations), compared the the current 16,000 passengers that use the Western Line’s 16 suburban trains during the busiest hour in the AM peak. This will have the effect of providing additional capacity on the Western Line (Sector 3) by shifting passengers away from it, rather than expanding its actual capacity. Once a Second Harbour Rail Crossing is built around 2030 it will link up the NWRL to the Bankstown Line as well as the Illawarra Line through to Hurstville. This will free up space on the City Circle (Sector 2) previously used by Bankstown Line trains as well as space on the Eastern Suburbs Line (Sector 1) previously used by Hurstville trains that will now use the new Harbour Crossing route instead. 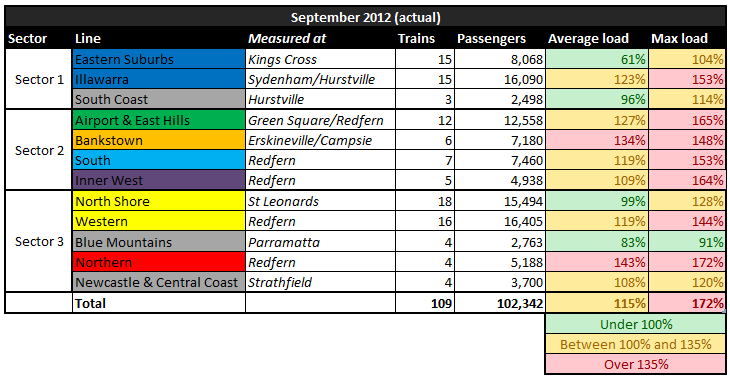 Cityrail suffered it’s 12th major disruption since February today, that’s 12 disruptions in roughly 12 weeks. While the current government has performed well in other areas, the reliability of the rail network is by far it’s biggest failure in the transport network. Many of these disruptions might have been prevented via improved maintenance. In fact, 10 of the 12 disruptions were caused at least in part due to problems with overhead wiring, signal breakdowns, or train breakdowns. Opposition Leader John Robertson has blamed this on the government’s decision to cut the state’s 4,700 rail maintenance staff by 450 positions, announced in Novermber of last year. Mr Robertson is absolutely right to be concerned about insufficient maintenance, particularly if improved maintenance proves to be an effective way of preventing many of the disruptions on the rail network. But he is wrong to put the blame on the cuts, given that as of 22 April the process was only at the consultation phase and no actual staff cuts have yet occurred. The government has argued that its changes are a result of consolidating the number of maintenance depots from 130 to 8, and that the cuts are only the elimination of any duplication of services and updating of out-dated work practices, rather than a reduction in capacity. If the poor reliability is due to current maintenance practices, then these changes might provide the improvements that are needed, given the current system has not prevented the numerous disruptions. Or they may not. Only time will tell. Also of concern is the decision to turn efficiencies into cost savings rather than increased maintenance capacity. If reliability is down because of maintenance, then surely one solutions could be to increase resourcing to maintenance. Finally, it’s worth remembering that not all disruptions are preventable. When prevention isn’t possible, then all which can be done is to minimise the impact. Further sectorisation would achieve this. Right now, the lines which use the Eastern Suburbs Line (known as Sector 1), those which use the City Circle (known as Sector 2), and those which cross the Harbour Bridge (known as Sector 3) are mostly segregated from each other, which means a delay or disruption on one does not spill over onto the other. But Sectors 2 and 3 share a portion of track between Granville and Homebush, and so are not entirely separated. This has meant that in 4 of the 12 major disruptions listed above, delays on Sector 3 have spilled over onto Sector 2, or vice versa. Fixing this would probably require all city bound trains from Parramatta to run express between Granville and Strathfield during peak hour, but would provide tangible improvements to reliability. This could happen as soon as October, when a new timetable that has been written from scratch comes into operation. A draft of this timetable appears to have already been completed, though not yet released or leaked to the public. If there ever was an annus horribilis for Cityrail, then 2013 is certainly how it would start. The network has seen an average of one major incident each week in the last 2 months, each involving a temporary suspension of services on a portion of the service. The most recent occurred yesterday on the Northern Line due to a pantograph (train equipment used to draw power from the overhead wires) ripping up a 5km stretch of overhead wiring. But unlike previous suspensions so far this year, it took so long to fix that it was the only one to impact both the morning and evening commutes that day. Opposition Leader John Robertson has blamed the incidents on insufficient maintenance staff to carry out essential work on the network, further citing the sacking of 450 maintenance staff. The government has countered that these maintenance positions have yet to be cut, and that since all trains were checked in recent weeks, pantographs included, and that this part of the network was reviewed following a previous incident earlier this year that it believes that sabotage is at fault, citing a missing set of keys used to access that part of the track. Whether the delays yesterday and others over the last 2 months were due to mismanagement, sabotage, or just accidents, it remains a reality that the network is currently set up in a way that encourages the spread of such delays across the network. In yesterday’s case, though the incident occurred on the Northern Line, delays soon spread to virtually all other lines. I’ve written about the reasons for this before: it’s due to lines sharing sections of track, the most troublesome part being the track between Granville and Homebush Stations. Even if Cityrail cannot prevent such incidents from occurring they most certainly can stop them from spreading by changing line operations to be more independent of each other. This process, known as sectorisation, may require some commuters to make an additional transfer from one train to another, but it will result in a big increase in reliability on the network, as well as simplify it from both a planning and commuter perspective. 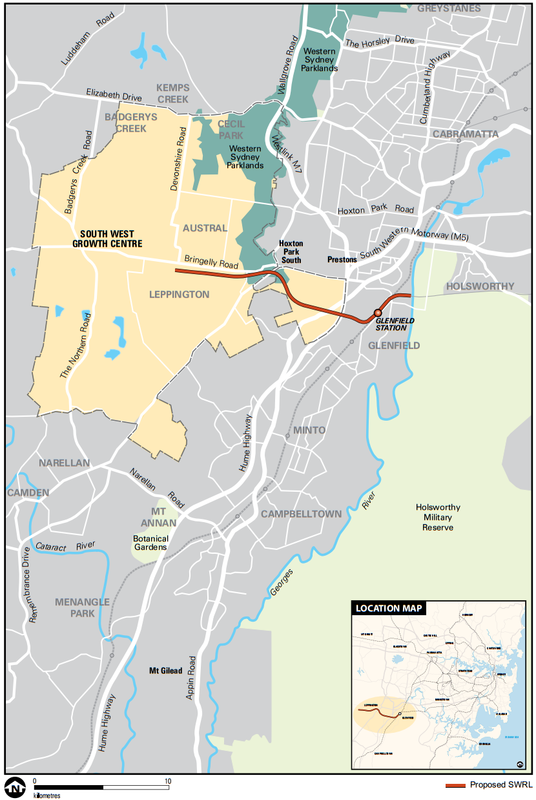 Recent opposition to such changes on the North West Rail Link (which will require many commuters to change at Chatswood) is something that would have to be overcome. But if it means limiting network wide delays like those which occurred on Friday, then I think most commuters will support such a move. But so long as such changes are not introduced, commuters will be afraid of the unknown. Therefore, the government should make a brave move in October and further sectorise the Cityrail network when it revamps the timetable. This could mean terminating Northern Line trains at Central and/or sending Richmond Line trains to Liverpool on the Cumberland Line rather than the CBD. This may prove unpopular in the short term, but commuters will support the changes if they see improvements. Why is Cityrail getting less reliable? Reliability on the Cityrail network, as measured by on time running, last year reached its worst point since 2008. The state opposition has criticised the current government’s failure to get the trains to run on time, this being one area that has deteriorated since the change of government from Labor to Liberal. This was then followed by a large number of disruptions to the network in February 2013, which also reduced reliability on the network. But these disruptions happened after reliability began to fall, so are not the cause of it. Instead, the reduction in reliability is more likely to have been caused by increased overcrowding issues, which have also deteriorated since the O’Farrell government took over in 2011. This is because overcrowding on trains means it takes longer for commuters to get on or off their train, which can increase dwell times at stations and thus lead to delays on the network. A quick look at the overcrowding (Source: IPART, Review of fares for CityRail’s services from January 2013, page 91) and on time running (Source: Cityrail, Our Performance) data for the 5 years from July 2007 to June 2012 shows a clear relationship. Overcrowding, measured twice yearly in March and September as the percentage of trains between 7AM and 10AM with over 135% as many passengers as there are seats, hit 13%-16% during 2007-08, before falling progressively from 2009 onwards until it reached 5% in late 2011. Then in March 2012 it rose again to 11%, the highest since 2008. On time running, measured monthly as the proportion of trains arriving in the CBD between 6AM-9AM and departing the CBD between 4PM-6PM more than 5 minutes after the timetabled time, is almost the inverse of overcrowding. On time running was low during 2007-08, usually running at 92%-95%. Following this, on time running improved, generally ranging between 94%-97%, during 2009-11. Then in 2012 it once again dropped to 92%. The overcrowding is itself caused by a failure to keep up with demand for rail travel. The monthly patronage data (Source: Bureau of Transport Statistics, Rail Patronage Data – July 2000 to September 2012) shows that patronage saw a constant growth during 2007-08 and 2011-12, but flat lined during 2009-10. This in turn was likely due to job losses associated with the Global Financial Crisis, which hit industries that tend to employ workers in the CBD, which is the primary destination for most train users in Sydney. Therefore, had it not been for the GFC, the poor on time running of 2012 would likely have occurred earlier. How much earlier is open to debate, as the opening of the Epping to Chatswood Line in 2009 resulted in an increase in capacity that would have pushed back the moment that overcrowding would again become a problem. However, this does not represent a get out of jail free card for the government. Though it had no control over the transport system it inherited, it does have full control over where it takes it. Therefore, it needs to find a way to increase capacity in order to reduce overcrowding and improve on time running. Building more rail lines are needed for this, but will take years or decades to build. In the short term, sectorisation is the only option available to the government that will result in a significant increase to capacity. It should further implement this as part of the 2013 timetable.